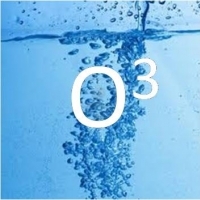 Oxygen (O2) is the most critical requirement for life! Humans can last weeks without food, days without water, but only minutes without oxygen! Ozone (O3) is an active oxygen molecule with three oxygen atoms and is the most powerful and rapid-acting oxidizer ever produced. Oxygen is all around us in the air we breathe, the food we eat...It's everywhere. The ingestion of substances that increase the level of oxygen in the body, such as Ozone, are most beneficial to optimum health. Scientific studies have proven that Ozone, properly introduced into the body in repeated applications, inactivates viruses, bacteria, fungi, protozoa and carcinomas in diseased cells. Ozone can oxidize bacteria, mould and yeast spores, mildew, and organic material and viruses. These “invaders” are anaerobic so they cannot survive in an oxygen-rich (aerobic) environment. Ozone can be infused into the water that is used during a colon hydrotherapy session or during a foot bath for a Reflexology session. Where appropriate ozone may be diffused into the air of the treatment room. Nine out of ten diseases, including the common cold and the flu, are caused by water or airborne bacteria and viruses. Like chlorine, ozone kills micro-organisms. Ozone also has a strong sterilization effect. The rate of bacteria killed by Ozone is approximately 3500 times faster than with chlorine. Virus destruction with ozone is instantaneous, safe and foolproof, as ozone is nature's own purifier. Please note that Thrive Therapies does not have a medical grade ozone device. We use a smaller device, that is slightly less potent, but still very effective. Ozone gas is a naturally occurring tri-atomic form of oxygen (02) that is formed as sunlight passes through the atmosphere or when it streaks through the air. It can be generated artificially by passing high voltage electricity through oxygenated air (corona discharge), causing oxygen to break apart and recombine in the tri-atomic form. It is impossible to be allergic to oxygen/ozone. Ozone is an energized form of oxygen with a clean, fresh scent. Ozone is naturally formed by the sun and lightning in storms, during rainstorms, or near waterfalls and crashing waves. Without the ozone layer high in the atmosphere, life could not exist on our planet. Ozone actually filters out the sun’s harmful ultraviolet rays and, in addition, makes for that beautiful blue color in the sky. 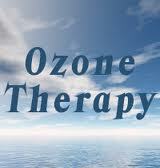 The scientific literature is vast in support of the effectiveness and safety of oxygen/ozone therapy. Recently, the International Academy of Oral Medicine and Toxicology (IAOMT) reviewed and accepted Oxygen/Ozone in Dentistry as scientifically valid. Oxygen/Ozone, when introduced into the living system, creates what is called a “transient oxidative burst.” Pathogenic “biofilms” and microorganisms have no natural defense against this reaction and, as a result, are overstressed and die. Surrounding healthy tissue is unaffected and there are no toxic side effects. This “oxidative burst” also induces a multitude of natural biochemical and physiologic reactions, including better blood flow, enhanced immune response, and a more rapid healing response. For more detailed information & history about Ozone visit the AquaZone website or our webpage links page.